I knew this one the second I took it. 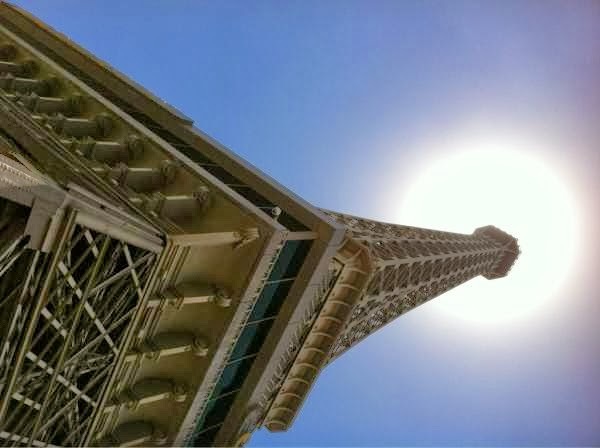 As I was wandering around the pool taking pictures, looked up, saw the sun at the top of the Eiffel Tower and just started taking pictures. The shot we chose is slightly askew, which is why it’s our favorite. It kind of made me think that Paris is the center of warmth in the world making Vegas my paradise. Every time I’m in Vegas, I wander around looking for something beautiful to take a picture. The problem is I always seem to find hundreds but this was my favorite of this trip.